This home has the room that you need! When you enter, you're greeted by low maintenance laminate flooring throughout the living areas. Immediately to your right is a flex space that would make a great game room, office, or formal living room. Straight ahead is the den with fireplace, vaulted ceiling, and built in shelving. The kitchen is open to the den and perfect for entertaining. 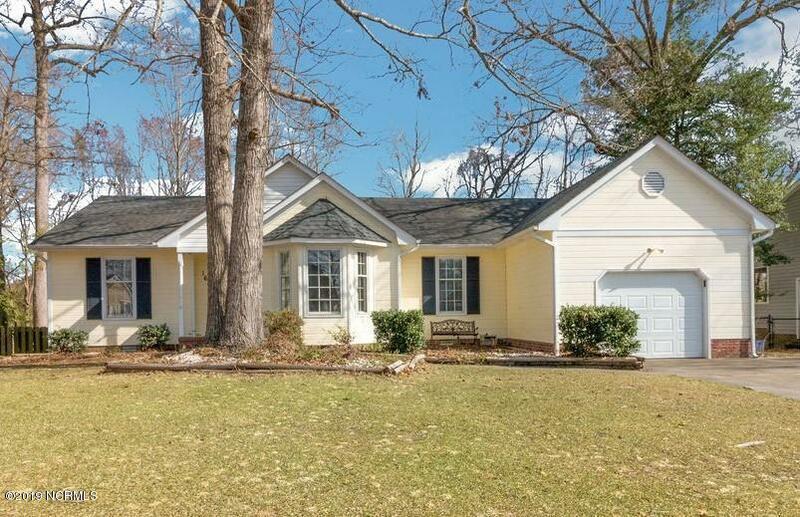 It boasts stainless appliances, a huge pantry, and a breakfast nook with window seat. There's also a large formal dining area. The bedrooms are split, with the master bedroom on the right side of the home. The master features a charming window nook and private bathroom with double vanity and separate toilet room. The two spare bedrooms are on the left side of the home with a second full bath.